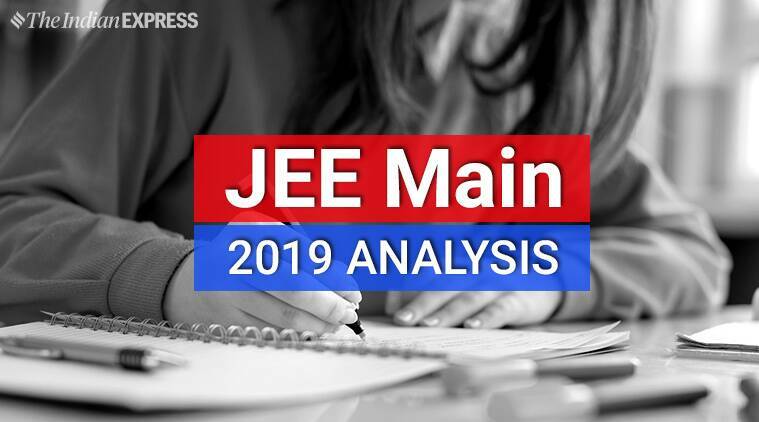 JEE Main 2019 Paper 1, Day 2 analysis: Considering the JEE Main day 1 and day 2 exam trends and difficulty, students are advised to start the paper with Chemistry section in order to manage their time well, said expert. JEE Main 2019 Paper 1, Day 2 analysis: The second day of the Joint Entrance Examination (JEE) Main exam for engineering aspirants concluded with mixed reviews. Based on the students’ reaction, the physics section was the toughest part of the exam. Following the usual trend, chemistry was rated to be the easiest section of the nation-wide competitive exam. Soumitra’s brother Rittwik who appeared in the second shift said, “In the second shift all the questions were average. There were many application-based questions in both physics and mathematics. There were many questions from Calculus and trigonometry; these parts are time-consuming. Apart from Mathematics, Physics was quite tough, while Chemistry was the easiest,” said the 17-year-old Rittwik Banerjee from KV Kolkata. According to VP, educational content, Toppr.com, Rajshekhar Ratrey, the pattern of the JEE Main paper was quite familiar to that of yesterday’s exam. Some questions in Chemistry were repeated from last year’s paper, he said. “In Physics, maximum weightage was given to Mechanics and Electrostatics and Magnetism. In Maths, Algebra and Calculus were given more marks, while Trigonometry section was given the least marks as compared to other sections,” said Ratrey. Yash Kumar, product manager, Career Launcher said that the Mathematics section was lengthy. “A few questions in the Mathematics section were lengthy, especially from topics like Conics and Algebra. However, they were moderate or easy in their difficulty. The majority of the questions in the Physics section were from the class 11 syllabus,” he added. Navin C Joshi, academic head of Gradeup rated the Physics moderate, saying there are lots of numerical-based questions in the exam. “Physics section had a lot of numerical-based questions using direct application of concepts. In Chemistry section, many questions were asked from Metallurgy and Basic Concepts of Organic Chemistry. Considering the JEE Main day 1 and day 2 exam trends and difficulty, students are advised to start the paper with Chemistry section in order to manage their time well. Time management is crucial while attempting the Mathematics section,” said the academic head of Gradeup. The examination for admission to Bachelor of Engineering/ Technology is scheduled to be conducted from April 8 to 12, 2019. This year, over 11.05 lakh students registered for the JEE Main exam for the April session.